Shortly after Kubrick’s death, his brother-in-law and long-time Executive Producer, Jan Harlan, produced and directed the panegyric documentary Stanley Kubrick: A Life in Pictures (2001). More recently “The Elstree Project” has recorded numerous oral histories with Kubrick’s collaborators during his time in the UK (1961–99). With each new Kubrick DVD or Blu-Ray release, or box set, retrospective documentaries are created that often include (re)discovered audio-visual content or important production documentation. New interviews are shot and expert commentary provided. Kubrick’s legacy, however, transcends conventional screen, artistic and academic quotation and analysis. His oeuvre is the stuff of conspiracy theories, digital mash-ups (for example, the recut trailer “Shining”, “Kubrick//One-Point Perspective”, the hallucinogenic and Hitchcockian “Red Drum Getaway” and Channel 4’s steadicam single-take for its “Stanley Kubrick Season”), mockumentaries Dark Side of the Moon (William Karel, 2002) and Room 237 (Ridney Ascher, 2012), as well as apocryphal and spurious tales about the filmmaker’s life in reality and in fiction – Stranger’s Kiss (Matthew Chapman, 1983) to Colour Me Kubrick (Brian Cook, 2005), Moonwalkers (Antoine Bardou-Jacquet, 2015) and Operation Avalanche (Matt Johnson, 2016). In other forms, comparable artistic outputs such as mixed media art exhibitions (“Daydreaming with Stanley Kubrick” 2016), live script readings (“Dr. Strangelove” 2016), and orchestral performances accompany special screenings of his movies. For example, during the past couple of years there have been multiple live orchestrations of Kubrick’s 2001: A Space Odyssey in San Franciso, Brisbane and New York, and more recently a one-off Brooklyn screening of Barry Lyndon accompanied by a 50-piece orchestra. Such novel audience engagements preserve, extend and mutate the traditional reception and experience of Kubrick’s ‘cinema’, departing from conventional spectatorship in potentially transgressive ways. So immense is Kubrick’s creative imprint that no single dossier, journal issue, anthology or book is able to do justice to his accomplishments. Unlike other cinematic giants of the perceived American auteurist ‘pantheon’, such as predecessors Orson Welles and Alfred Hitchcock, Stanley Kubrick left an astonishingly rich historical archive of materials that will service scholarly enquiry for generations to come. There is some irony, perhaps, that all of the contributors to this dossier, to some degree, have mined and exploited this now public resource, one steadfastly preserved by a creative maverick long-ridiculed by the media as a recluse and misanthrope. The Post-Kubrick essays assembled here seek to examine representative aspects of Kubrick’s vast cultural impact. They draw chiefly from papers delivered at the 2016 conference “Stanley Kubrick: A Retrospective” held at De Montfort University, Leicester. The dossier commences with James Fenwick’s analysis of the curatorial practices that have emerged since the opening of the Stanley Kubrick Archive in London in 2007 and with the immensely popular Stanley Kubrick Travelling Exhibition that has had multiple incarnations around the world. Fenwick ultimately cautions that many curatorial practices embrace a “deification of Kubrick and his films” or at least problematically display “reverential” undertones, something post-Kubrick studies should be cognisant of. In a personal and reflective essay, Peter Krämer considers Kubrick’s impact on his own development as a film scholar and historian. Krämer finds hope in 2001: a Space Odyssey (1968) as an antidote to the fatalism of Dr. Strangelove: or How I Learned to Stop Worrying and Love the Bomb (1963) and charts 2001’s (trans-humanist) influence on the works of James Cameron. As the world’s leading Kubrick researcher and a New Film History scholar, Krämer locates in Avatar (James Cameron, 2009) echoes of Kubrick’s environmental consciousness and concerns over evolutionary ‘progress’ via Cameron’s depiction of the malaise afflicting human “technological hubris”. Public access to Kubrick’s immense repository of research and production materials has witnessed a small explosion in film scholarship. 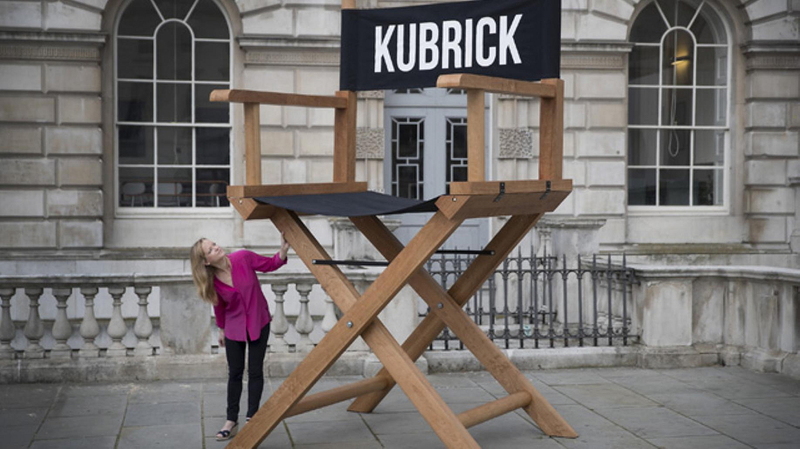 Richard Daniels holds the twin positions of Senior Archivist and The Stanley Kubrick Archivist at the University of the Arts London’s Archives and Special Collections Centre, where he is immersed daily in Kubrickalia. Daniels’ essay describes the history of its acquisition and, importantly, how it is organised and accessed, while noting both its pedagogical use and its efficacy as research material for scholars and artists from around the world. Yeqi Zhu’s essay concentrates on a single Kubrick film, The Shining (1980), and its cultural impact on the development of Hong Kong’s emerging horror cinema and the ghost subgenre. Zhu skilfully identifies thematic and formal intertextual borrowings from, and artistic homages to, Kubrick’s film in relation to Hong Kong’s transition from former British colony to Special Administrative Region under mainland China’s communist control. For Zhu, the endless recycling of The Shining’s defamiliarising techniques in prominent Hong Kong horror films “blurs globalised genre distinctions” while preserving generic ambiguity and openness. Filippo Ulivieri draws from the (auto)biography of Kubrick’s driver-assistant of 27 years, Emilio D’Alessandro, to contrast perspectives with the “plethora” of works published after the director’s death by former Kubrick collaborators such as Frederic Raphael and Michael Herr. Unlike these relatively brief or periodic creative associations D’Alessandro’s eclectic daily routines and “unrivaled access” to Kubrick provides a unique vantage from which to appraise the auteur’s personality and working methods during the period from A Clockwork Orange (1971) to Eyes Wide Shut (1999). Nevertheless, for Ulivieri, this unique biographical perspective is only a single fragment in the overall “mosaic” of Kubrick’s public narrative. Matt Melia’s essay addresses modes of adaptation in A.I. – Artificial Intelligence (Stephen Spielberg, 2000) and Kubrick’s subsequent influence on Spielberg’s cinema post-2000, especially Spielberg’s architectural and spatial construction evident in The War of The Worlds (2005), Minority Report (2002), The Terminal (2004) and Catch Me If You Can (2002). Melia notes, for example, that an early script of A.I. – Artificial Intelligence (circa June 1993) appears to have been annotated by Spielberg and returned to Kubrick, providing important documentary evidence by which to assess Kubrick’s approach to script development and pre-production against Spielberg’s ultimate film vision. Following Stephen King’s appraisal of the writer-director-producer in Danse Macabre, Stella Louis charts the influence of Kubrick’s style and aesthetics in the horror cinema of contemporary filmmakers as diverse as George A. Romero, John Carpenter, Roman Polanski and David Lynch through to Guillermo Del Toro, Tim Burton, Matt Reeves, Christopher Nolan, Michael Haneke and Gus Van Sant. Louis traces such artistic indebtedness to Kubrick’s own nightmarish influences via Val Lewton and Ingmar Bergman, viewing the expatriate American auteur paradoxically as flâneur and manifest exemplar of the Deleuzian concept of the “cinema of the brain”. My own essay considers Kubrick’s lasting influence in one monumental creation of late 20th and early 21st century television: The Simpsons. The admiration and affection by the series co-creators, writers, producers and directors is evident in their subversive, intertextual parodies and satirical animated homages. This approach reached its zenith in the elaborate “A Clockwork Yellow” mini-episode from Season 25. For The Simpsons creative team, Kubrick’s oeuvre is a cultural ur-text, by which any number of socio-political observations can yield either comedic insight or cynical derision. Finally, I offer my thanks to the editors of Screening the Past for considering this Post-Kubrick dossier and to all the authors who responded to the call for papers. Special thanks are given to the external reviewers who undertook appraisal of the essays and for their expert assessments. Hopefully, this dosser will in some small way encourage readers to immerse – or reacquaint – themselves with Kubrick’s compelling oeuvre. I use this term as deployed by Kerwin Lee Klein to designate works, including market for academic books, that evoke ‘memory’ as a key concept. See Kerwin Lee Klein, ‘On the Emergence of Memory in Historical Discourse’, Representations, No. 69, Special Issue: Grounds for Remembering (Winter, 2000), pp. 127-150. The conference and accompanying artifactual exhibition was co-convened and co curated by Ian Hunter and James Fenwick.